For Devlin, the quote serves as inspiration, motivating her to continue being involved with community organizations. 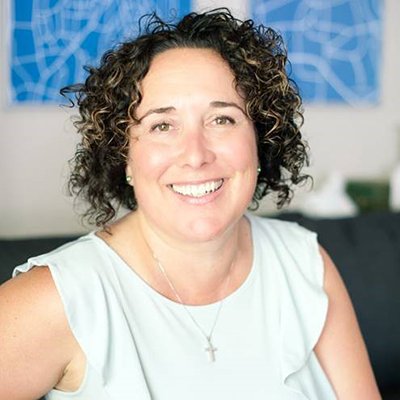 She is currently an active member of St. John’s Hospitality Dinners, the Ronald McDonald House, the Heart and Stroke Foundation, as well as her church. And she still finds time to participate on multiple committees. The community advocate first became involved with St. John’s 11 years ago, just two years after she started working at Western. At the time, she was working alongside Dr. Fraser Fellows in Obstetrics & Gynaecology. Fellows introduced her to the dinners that she now actively organizes and partakes in three to four Saturdays a year. As Devlin moved to new roles in Dentistry and Medical Biophysics, she encouraged students, staff and faculty to volunteer with the organization, generating even greater impact for the community. Inspiring others to get involved is a constant with Devlin. She’s been successful in getting her son and a group of young high school students and their moms to volunteer with her at Ronald McDonald House. The group works in teams and once a month, they head to the home away from home for sick children and their families to launder linens. It doesn’t end there for Devlin. Annually, during the nationally recognized heart month, Devlin can be found canvassing to raise funds for the Heart & Stroke Foundation. It’s something that she has done for five years, and despite the often cold weather conditions, she enjoys the opportunity to engage with the community. And when she’s not doing that, she can be found serving as a eucharist administer for her church, and helping to deliver communion to some local senior centres. She also helps out the Professional Managerial Association at Western when they need assistance. Each organization offers the same reward for Devlin. “It’s the sense of involvement and community,” she said. Not one to be shy to share her enthusiasm for volunteering and community engagement, Devlin has established Medical Biophysics Gives Back, an initiative in the Department of Medical Biophysics at the School. By creating a formal initiative, Devlin has been able to encourage more faculty, staff and students to get involved within the London community. As part of this initiative, Devlin also spearheaded a toy drive during holiday seasons. Because the Medical Biophysics team is spread out across the city, she’s hoping there will be some competitive energy between the groups so they can bring in even more donations. Through voluntarism, Devlin increasingly values the goodness in humanity. She’s also forever grateful that she is able to give back even in a small way. “You don’t have to do big things to make a difference for others. It’s inspiring to watch the little things you do make a difference," She said. You can learn more about St. John’s Hospitality Dinners, Ronald McDonald House and the Heart and Stroke Foundation and find out how you can get involved.